Two years of planning. Six months and six days of brain-bending, back-breaking, tedious and careful work. From demo on day #1 until the final pieces were put into place, the epic journey to transform my tired old bathroom into the pretty pink potty room of my dreams has been nothing short of a renovation marathon. But here I am — having just crossed the finish line and now enjoying the spoils of victory. There will be many stories detailing all the details in the days and weeks to come. 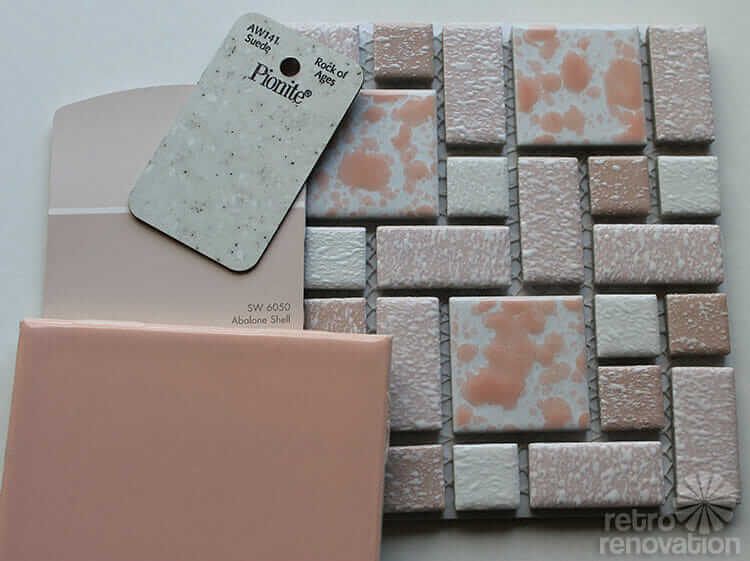 For now, take the video tour and bask in the warm “glowy” pink of my finished retro pink bathroom remodel. Can you tell I’m super excited? 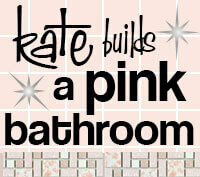 Kate finishes installing her B&W pink bathroom wall tiles — finally! 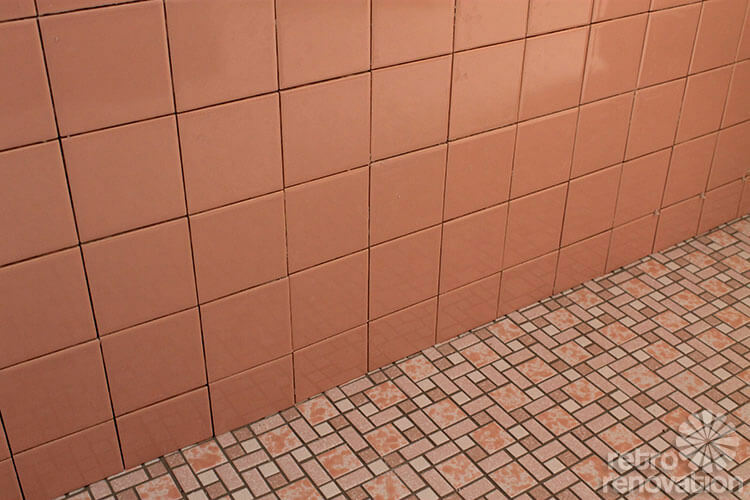 Mamie pink 4″x6″ bathroom tiles, Monument Mountain High School, Great Barrington, Mass. Kate, your bathroom is amazing, and I am blown away by your attention to detail. I am curious what you did with the original bathroom materials… were any salvageable to sell or donate? I must congratulate you on such a gorgeous Mamie pink bathroom! You did a fantastic job and you SHOULD be proud and glowy! I just love it! What tool do you use to put your wish boards together? I have a remodeling project I want to do, and I need to create one of those. Photoshop lite? Thanks. 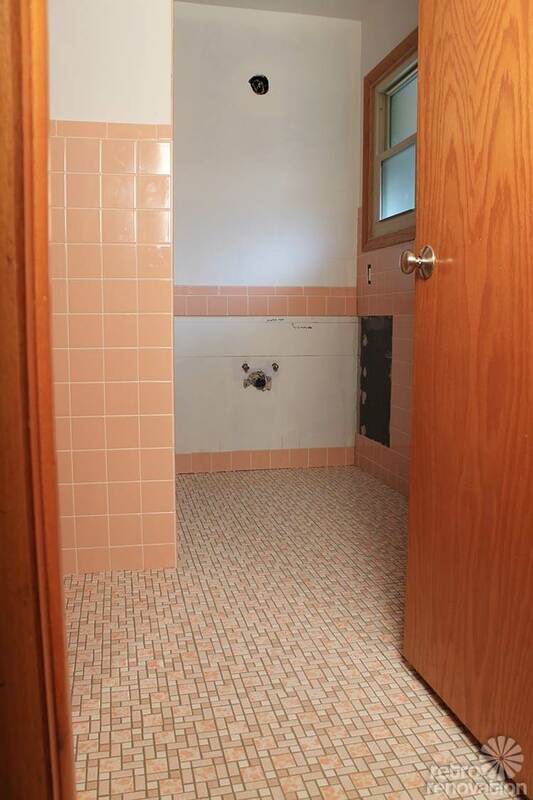 I just moved into a 1955 home and the whole bathroom was pink and pink tile pink bathtub!